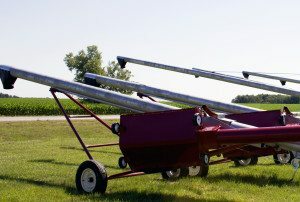 With fall harvest quickly approaching, now is the best time to make sure all your equipment is operating properly, including your portable augers. If you’re in need of a new, portable auger, it’s also a great time to make the investment with FS Construction Services. We make sure our farmers are fully prepared for the biggest time of the year and they’re moving grain with confidence and efficiency. Our brands, such as Hutchison, provide our customers with a variety of configurations that easily adapt to their grain handling needs. We ensure our customers have the mechanical swing hopper auger, top-drive auger or low-profile drive-over hopper to get the job done efficiently. Our reliable and durable brands will have you confident in the investment you’ve made in the future of your grain equipment. We also highly recommend routine preseason maintenance to keep your existing portable augers in check and fully prepped. To ensure overall quality performance and the most efficient harvest possible, you’ll want to closely inspect your augers for any noticeable wear. It’s wise to check the drive system, bearings, wheels and/or tracks, lights, hydraulic hoses, safety chains and any other required auger maintenance or safety repairs. Be sure to always consult your owner’s manual for more specific maintenance. If you need additional help, have questions about auger maintenance or how you can make an investment before fall harvest, contact FS Construction Services today to talk to one of our grain specialists at 866-551-3454.